An agl file suffix is related to the ArgusLab, a molecular modeling software. An agl file contains graphics modeling data. The agl file extension is associated with the ArgusLab, a freely licensed molecular modeling, graphics, and drug design program for Microsoft Windows operating system. The agl file stores graphics modeling data. 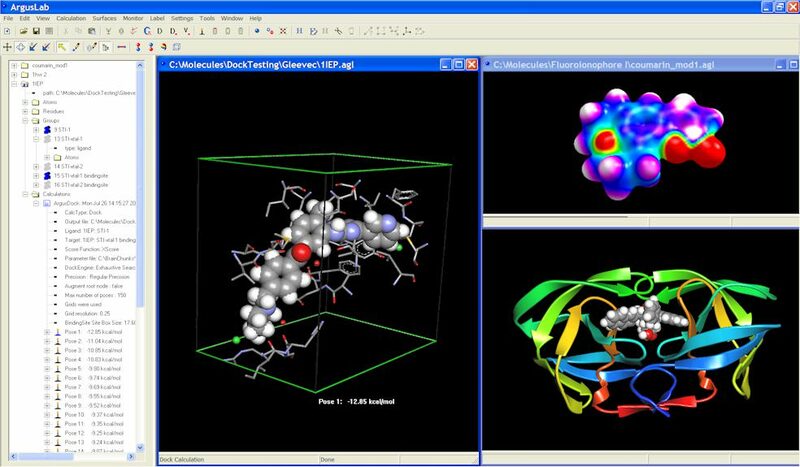 ArgusLab is a molecular modeling, graphics, and drug design program for Windows operating systems. It’s getting a little dated by now, but remains surprisingly popular. Use ArgusLab to work with *.agl files. ArgusLab may be able to export *.agl files to other formats. Programs supporting the exension agl on the main platforms Windows, Mac, Linux or mobile. Click on the link to get more information about ArgusLab for open agl file action. Programs supporting the exension agl on the main platforms Windows, Mac, Linux or mobile. Click on the link to get more information about ArgusLab for edit agl file action. Programs supporting the exension agl on the main platforms Windows, Mac, Linux or mobile. Click on the link to get more information about ArgusLab for create agl file action. Click on the software link for more information about ArgusLab. ArgusLab uses agl file type for its internal purposes and/or also by different way than common edit or open file actions (eg. to install/execute/support an application itself, to store application or user data, configure program etc. ).